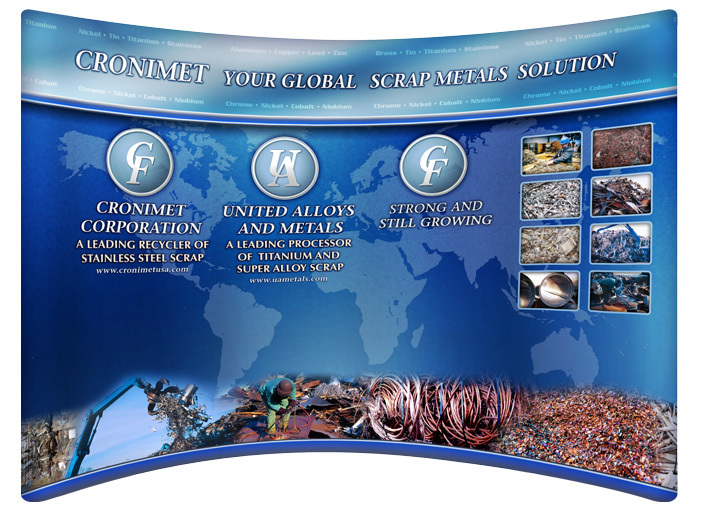 A leading recycler of ferrous and non-ferrous metals, Cronimet USA called on us to help position and strengthen their message in the metals recycling industry. A plan was set in place that included a bigger and better presence at targeted trade shows. We designed a large, backlit, floor display that would outshine the competition. Trade show handouts and collateral materials bring a consistent brand message to current and prospective customers while the competition is scrapping for attention.